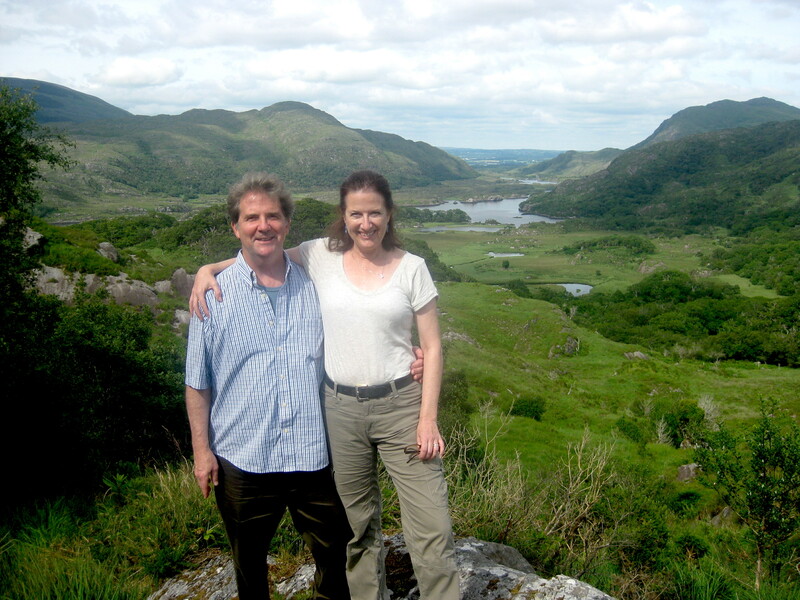 Mr.Sportcoat (sans sportcoat) and me at the Ladies’ View, Kerry, Ireland. What you’ve heard about Ireland is true: The landscape is beautiful and people are just so kind. 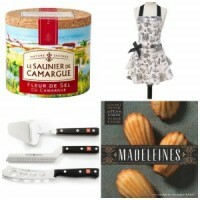 What you might not know is that the food is amazing–these days, it’s every bit as good as in France. And in some ways, better. Seriously. Indeed, I’ve taken three trips to Ireland in the past four years, and I have to say, Ireland is my new France. 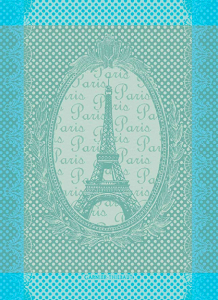 Not that I don’t still love France. Yet after 25 years of summering in France, I get it. It is part of my soul, and I have brought it home to the way I live every single day in the U.S.
I’m someone who loves to travel deep (rather than wide); once I start to love a place, I want to know it better and better. I want to know Ireland as deeply and well as I know France. I want Ireland to be a part of who I am. So, should I change my blog’s title to “Ireland Is My New France”? It’s a thought! But for now, I thought I’d resurface and say “hiya” (that’s Ireland-talk for “hi”). 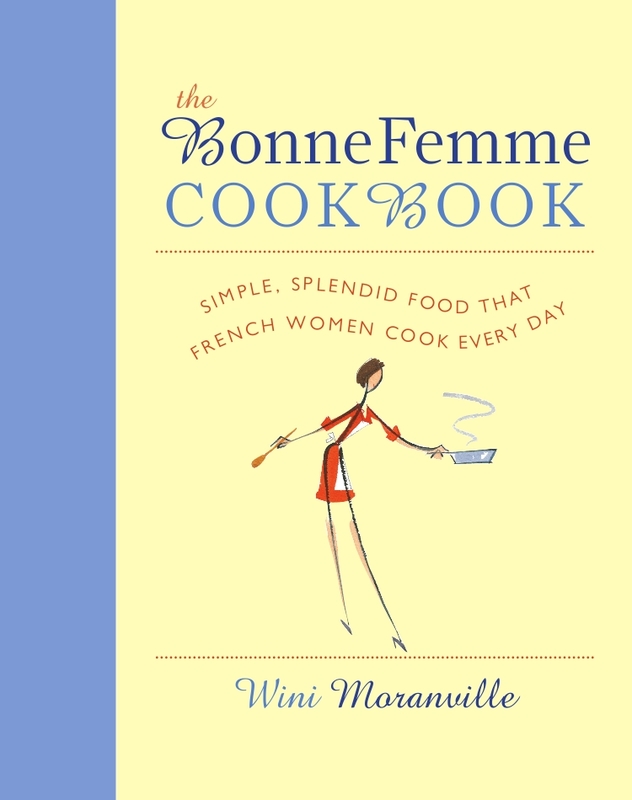 And while you’re here (since you probably came here for French cooking), and while it’s summer, I thought–why not give you my five best French recipes for summer (as they appear on this blog). Here you go, friends. Thanks for popping by. Swing those Bing Cherries into a great clafouti. #SoEasy. People! 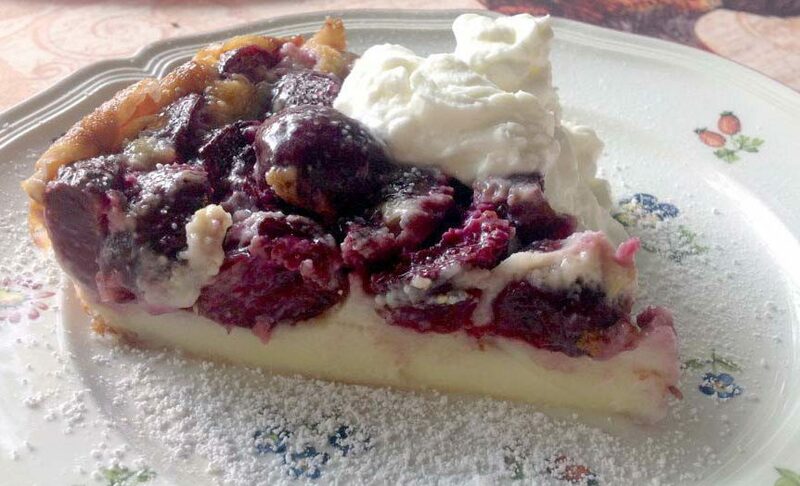 Sweet cherries are in like Flynn (whatever that means–my mom used to say it!). And this is the easiest way in the world to make cherries into a rich, custardy dessert. 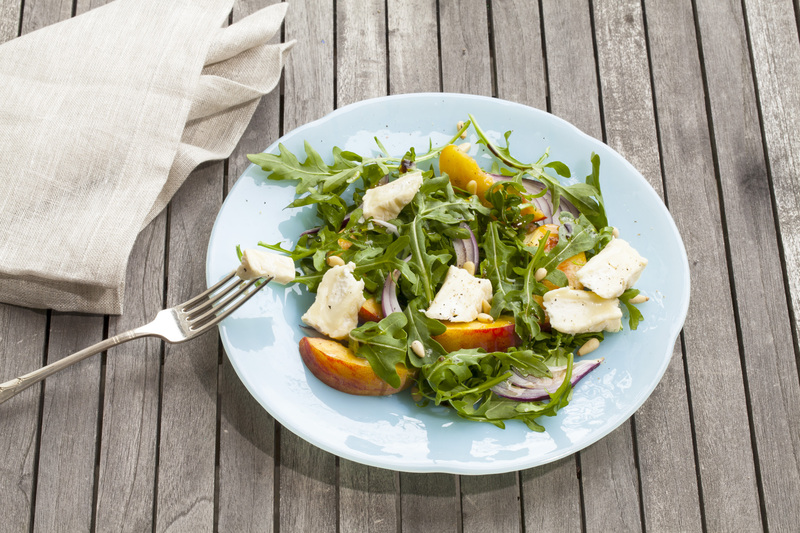 Goat cheese, peaches, and arugula star in this easy French Chevre salad. Photo courtesy of Goat Cheeses of France. Peaches, too are right in season. They’re great in this salad, with melty-mild goat cheese Camembert. (Use plain Camembert if you can’t find a good Goat Cheese Brie or Goat Cheese Camembert. A quick summer dinner-party entree: Treat everyone to something wonderful. 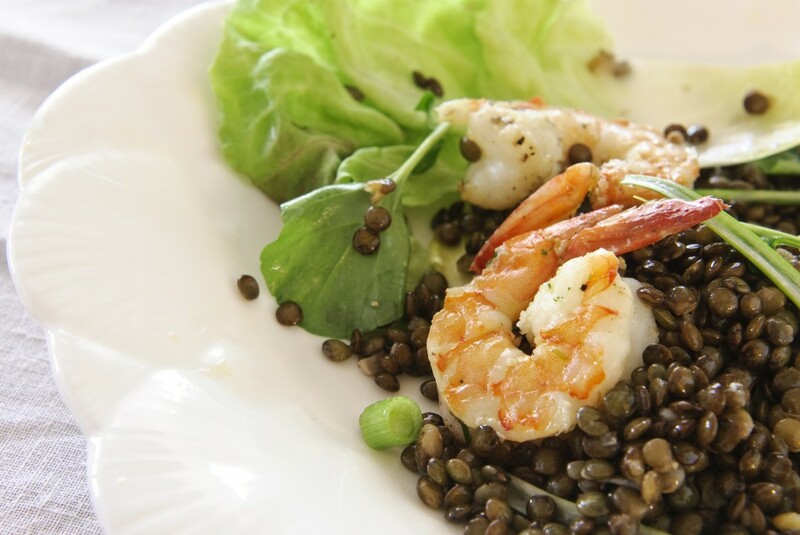 Put out a double-batch of this French Green Lentil Salad with Shrimp in one large bowl. Serve with some cheeses, breads, maybe some charcuterie, and call it a simple French buffet dinner. If you make this salad, promise me you’ll use French green lentils from Le Puy. They’re easier to find than they used to be (when I’d bring them home from France in my luggage!). Find them on Amazon (affiliate link) if you can’t find them locally. No link or recipe needed for this, but there is a story: On my first stay in France as a high school cultural exchange student, the maman of the family served me a salad much like the one above. 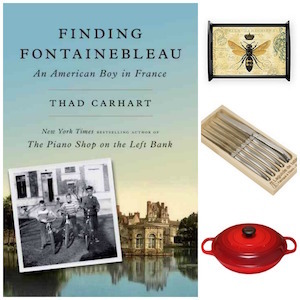 Though it was so simple, I’d never really tasted anything like it before—and it’s the fines herbes that bust open the world for me. There’s something that this mix of herbs (parsley, chives, and tarragon or chervil) does to the tomatoes that’s just so….French. Simply make your favorite vinaigrette (or make mine), and bring on the fines herbes and finely chopped shallots. 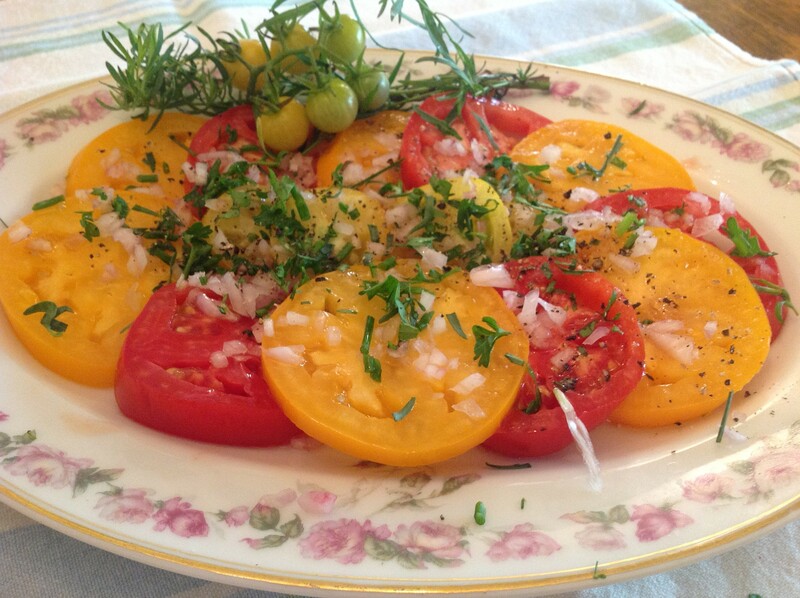 Oh–and use the best homegrown tomatoes you can buy, of course. I’m always looking for a seasonal house cocktail to serve guests. I found one I love in Ireland, and I’ll share that with you soon (the recipe has to run in another publication before I can reprint it here–it’s a deal I made with my editor!). 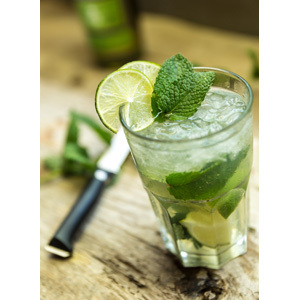 But for now, I’m finishing up a bottle of Chartreuse that I have by using it in a Mojito made with Chartreuse–a recipe I discovered in Bordeaux years ago. Click the link for the recipe and story. 2 comments to Where in the World Have I Been? I would love to read more on here about Ireland! You got it! A few posts are in the works. Cheers.